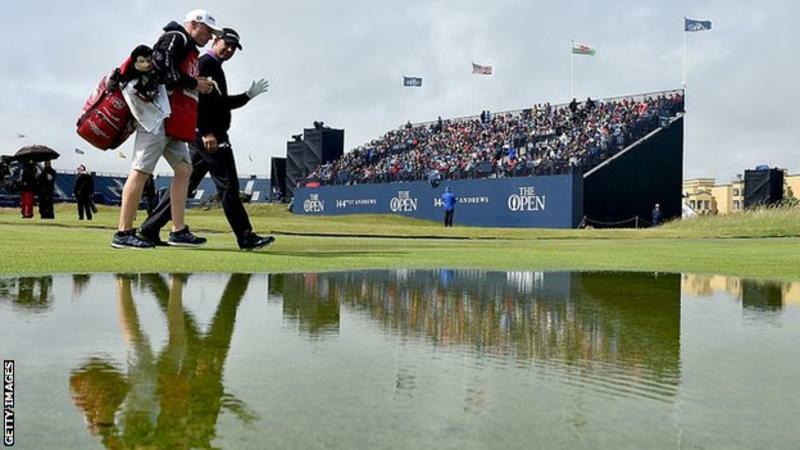 Open Championship venues such as St Andrews and Royal Troon could be under water by the end of the century if sea levels rise even slightly as a result of climate change, according to a new report. The Climate Coalition says golf, football and cricket face an "unexpected threat", with cricket to be the "hardest hit". The report predicts "cancelled football matches, flooded cricket grounds and golf courses crumbling into the sea".